I’ll be spending tomorrow at The Economist’s 2013 Africa Summit in London. Last year Chartwell opened an office in Lagos – our brilliant Nigerian partner, Gbolahan Fagbure, trained at KPMG and Goldman Sachs and he aspires to run, among other things, Africa’s leading speaker bureau. I’m sure it’s going to be fun helping him achieve this goal. 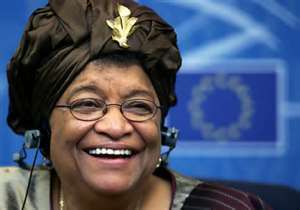 Alongside Ellen Johnson Sirleaf, President of Liberia, tomorrow’s agenda includes the successful entrepreneur and anti-corruption campaigner Mo Ibrahim and Richard Sezibera, Secretary General, East African Community.